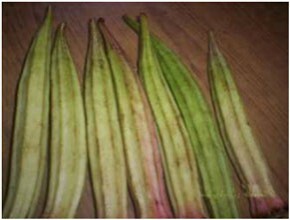 Preparation : Tender shoot is boiled in water for external wash. Leaves simmered with water for decoction. Flower and fruit boiled and mixed with honey for internal use. Seeds roasted and powdered. Fruit crushed in water for mucilaginous preparation. Ingredients : Fruit contain Carotene, Folic acid, Thiamine, Riboflavin, Niacin, Vitamin C, Oxalic acid and the essential Amino acids. Seeds are rich in protein and yields a fatty edible oil. Leaves yield an essential oil. Ailment Treated : The concentrated soup made after boiling the shoot with water is used as eye-drop to cure eye-ache. Leaf decoction used in cases of pneumonia and bronchitis. 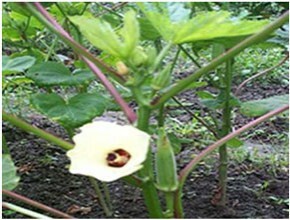 Flower, fruit decoction is also taken with honey for pneumonia and bronchitis. Roasted seed used for heart diseases. Mucilaginous preparation of fruit is taken regularly to enhance blood formation in the body. Source : Extensively cultivated in valley areas.